Manufacturers are operating in an environment of cutthroat competition. 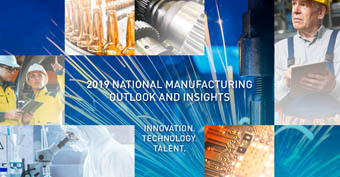 Between outsourcing, regulations, volatile commodity markets, and environmental pressures, manufacturers face serious financial issues on multiple fronts. Brady Ware helps you address these issues simultaneously. Many of our consultants have a background in industry, and our experience helps us anticipate your needs and develop custom solutions to enhance your operation. In addition, we integrate our accounting services with your overall tax, audit, and strategic planning initiatives. That means you realize integrated financial rewards across your business. Priorities for 2019 focus on growing sales, improving profitability, and addressing workforce shortage. The challenge of gaining a competitive advantage remains critically important. We hope these findings provide you with insightful questions to ask and strategic ideas to evaluate these topics, ultimately helping you grow your business and achieve your goals.